Well this weekend I�m flying up to Portland for the Official Northwest NARP. 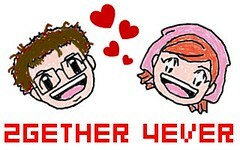 It�s sure to be delightful weekend full of Alcohol consumption and videogames, good old fashioned nerd stuff. This week I thought I�d write about a game that would perfectly go with this weekend�s events, something full of the camaraderie and debauchery that is sure to transpire in Oregon. 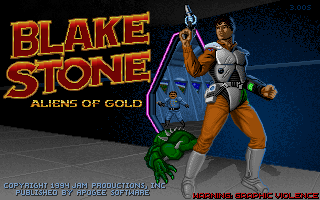 I couldn�t think good one, so instead I�ll write about 1993�s Blake Stone: Aliens of Gold. In Aliens of Gold you play as British Intelligence Agent Blake Stone. It is Agent Stone�s job to stop the evil Dr. Goldfire from taking over earth with in army of genetically engineered monsters. He of course does this in a matter be fitting any FPS of the era (and arguably most modern FPS�s as well) by killing anything in sight and blowing up enemy bases. Horrific bloodshed and carnage for the benefit of all mankind, god bless America, or technically England I guess, whatever country you choose god bless it. Pew! Pew! Pew! Take that, ceiling Roomba! 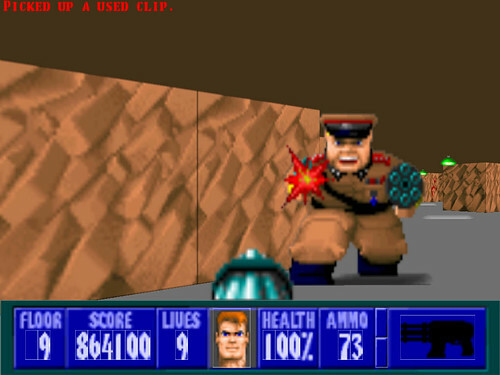 This is another of the many Wolfenstein 3D clones that graced PCs in the early nineties. Same basic formula applies, shoot bad guys, find keys, go to the next level, repeat. This isn�t really a bad thing though, it�s a good clone, and it even adds a few unique features. The biggest addition is the teleporters, useable by you to get from one area to another; however Dr. Goldfire will also use them to pop in, take a few potshots and quickly leave. This game was a lot of fun, I spent quite a bit of time playing though each episode multiple time to find all the secrets. Here we see Blake Stone fight Nazis� Hey, wait a minute. 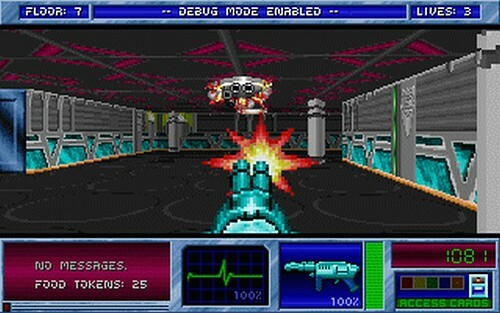 This game is not abandonware, 3D Realms still hold the rights and want $10 for all six episodes, but you can still download the shareware version and have fun with that. 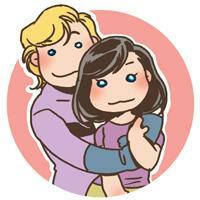 Both versions can be obtained here. As always DOSBox is easiest way to enjoy most of the games I write about here. Well if you excuse me I need to mentally prepare my self for getting drunk with a bunch nerds. So until next time, remember: nothing is as cool as the stuff you enjoyed when you were a kid.